The Chopaholic range of stainless steel knives are fantastic value for money and are great for everyday use in the commercial kitchen. With the finest knives we strongly recommend the finest steel to match. Many people buy the professional knives, but do not realise that you need a fine steel too to keep them in top-quality condition. This professional model will keep your knives razor sharp. It features an ergonomic design with hollow weighted handles to ensure the best handling for professional use. HIGH QUALITY STAINLESS STEEL - Our Chopaholic 8 inch Hardened Sharpening Steel is constructed with high quality 3Cr13 stainless steel that will last long into your kitchen’s future. 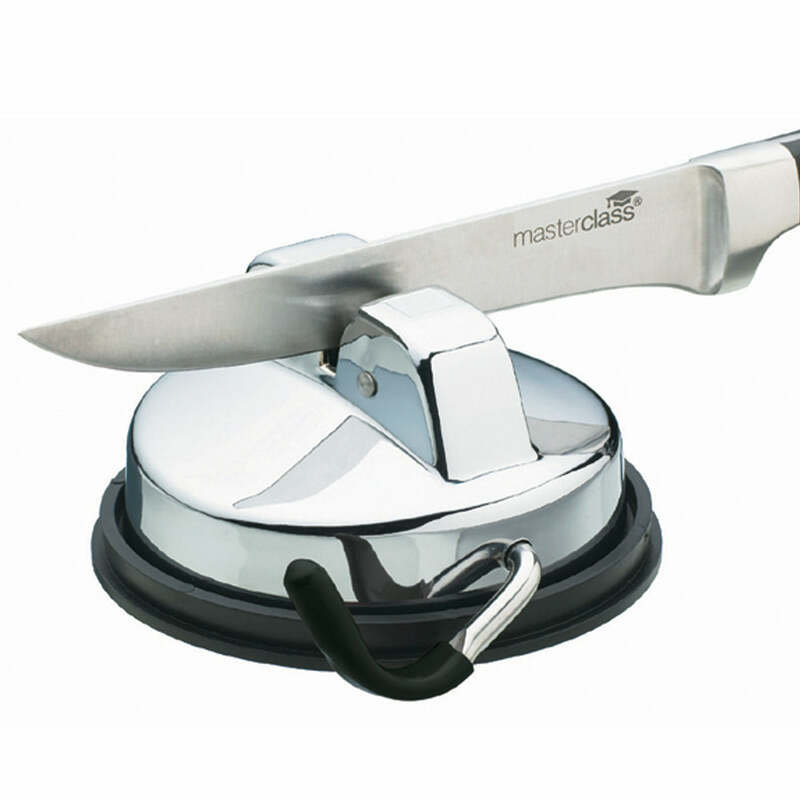 FAST & EFFICIENT – Sharpen your knife collection quickly and leave your knives good as new. ERGONOMIC DESIGN – Sometimes your hands hurt when you’re sharpening knives. That’s because the handle of the tool is not ergonomically designed to fit your hand. With our sharpening steel, no matter how long you use it, your hands will never hurt. EASY TO STORE – You won’t notice our tool in your kitchen because it’s easy to store. EASY TO CLEAN – Once you’re done, run it under some warm water and voila!